Forget the Ringling Brothers: Jolly Roger Has a Free Circus Waiting for You! Don't bother to pay a whole bunch of money for a circus when you can enjoy a free one at Ocean City's Jolly Roger at 30th Street! When I was little, I used to get so excited to see the circus when it was in town! My family paid money to get the tickets, paid even more money for snack and drinks, and paid even more money after that because I just needed a souvenir. But it was such a great experience -- I'll never forget how awestruck I felt as I watched the show! And your kids can experience those same emotions, but for free at the circus at Jolly Roger at 30th Street! 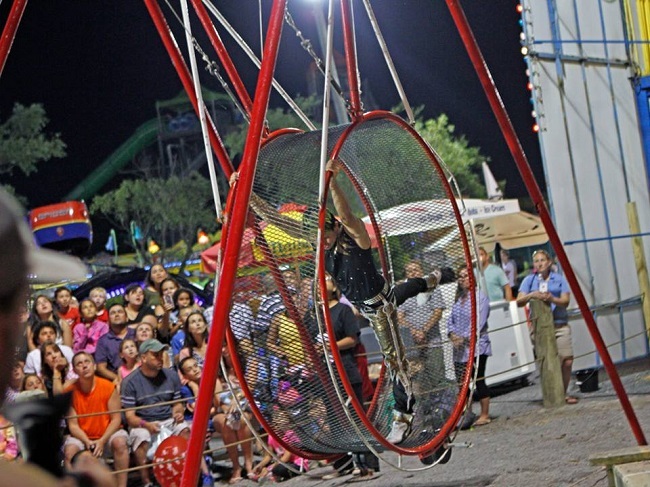 WHEN: Twice daily at 5 p.m. and 9:30 p.m.
As of July 1 and running through August, the circus is being offered twice each evening and includes so many cool performances! From the Wheel of Death with the Morales Family to the World-Famous Flying Wallendas, acrobats and jugglers will wow the crowd! And you could make a whole day out of this event! There are plenty of rides to keep everyone occupied as you wait for the curtain to open! Feel their heart race on the Heart Flip, swing on the Happy Swing, swirl around in the Tea Cups, or try out one of the park's different-themed mini golf courses. Check out all your many options on their website. Are you considering attending the circus at Jolly Roger at 30th Street? Tell us in the comments! Check out these other hot spots on the Ocean City Boardwalk!